Outstanding Sound! Bluetooth Magnetic earbuds offer incredible sound quality with deep bass and noise cancellation which helps you enjoy clear sound. You will never be disturbed by any noisy occasion. Ear-hook caps fit perfectly to your ears. Easy and fast pairing with smartphones, tablets and other Bluetooth enabled devices. It will automatically connect after paired successfully after the first time. 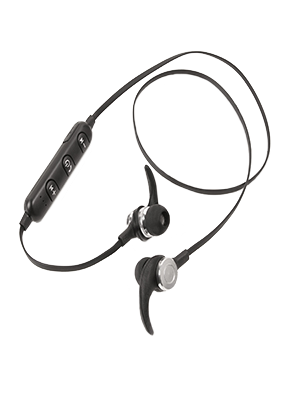 Perfect headphones for working out, running or biking. Magnets let you attach the two headphones together when not in use.